Who doesn't love little animals on their nails??? A few months ago I did penguins, and while on pinterest I came across cute giraffes, elephants, and monkeys. 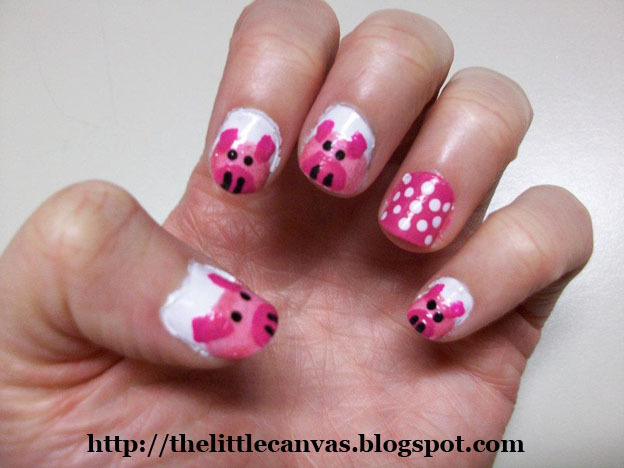 So I thought, why not do little piggies?? This little piggie went to market, right? The ring finger is Cream Pink with the white sinful colors dots. If I do them again, I probably would skip doing the ring finger.